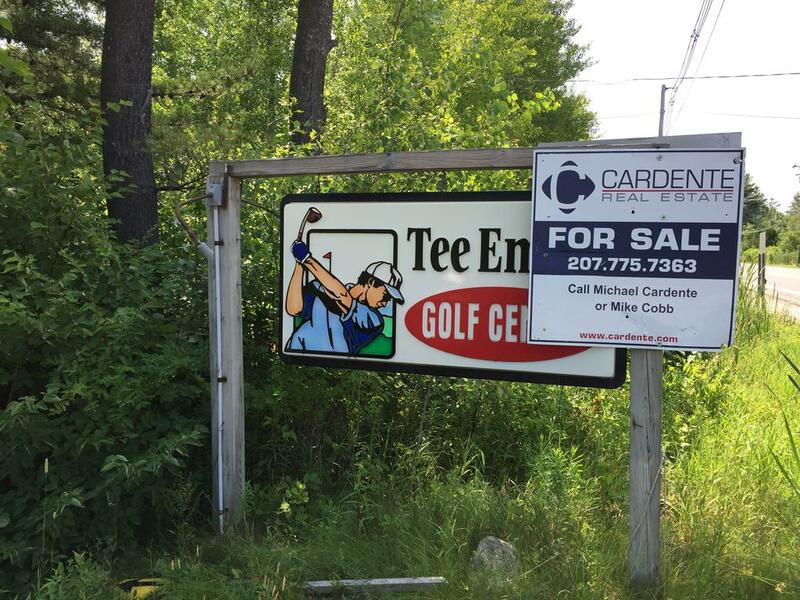 GRAY — Owners of the former Tee Em Up driving range on Portland Road are asking the Gray Town Council for a zoning change to allow for a 10-lot commercial development at the former golf complex. If last week’s council meeting is any indication, the request likely will be granted. The roughly 37-acre property is split in the town’s commercial zone and rural residential and agricultural zone. The developers want the council to approve the rezoning of nearly 6.5 acres from rural residential and agricultural to commercial. Other parts of the property also fall within the limited commercial (shoreland) and resource protection (shoreland) zones. At a July 2 council meeting, Tee Em Up Inc. President Mike Cobb told council members that his group has been working with town staff and the Planning Board for several years in search of a solution for the property. Cobb, a Gray resident, said by phone Wednesday that the decision to close the driving range four years ago was made “to grow that piece of property” and to provide Gray with opportunities for commercial development. After takings unsuccessful shots at senior housing and mixed-use proposals for the former driving range, Cobb said the developers thought they had a solution in the form of a Planned Unit Development, or PUD. As outline in Gray’s zoning ordinance, a PUD is a type of commercial development that allows the Planning board to reduce frontage, setback and minimum lot area requirement by up to 50 percent. The stated purposes of a PUD include promoting aesthetically pleasing commercial development, development that reserves natural features and prevents soil erosion, efficient land use and a more preferable environment than what might be allowed under the strict application of other zoning ordinance sections. Unfortunately for Tee Em Up, PUDs are not allowed in the town’s rural residential and agricultural zone – hence the need for the zoning change. Gray Community Development Director Doug Webster said town staff is supportive of the rezoning after working with Tee Em Up to make sure the development plan is viable for the property. According to Webster, eight of the Tee Em Up lots are within the commercial zone, and only two additional lots would need the rezoning. “That’s why we’re supportive of it, because it make it cohesive,” Webster said. Cobb told the council he hopes the commercial development will “increase the town’s tax base without bringing children to the town,” which would impact school costs. The council did not vote on the zoning change last week, but four of the five members indicated their support and no opposition was raised by the fifth. Councilor Jason Wilson asked how much money Tee Em Up has put into the project over several years of various planning, and Cobb estimated $100,000. “I think I’m very supportive of this, I think we should move forward with it,” Wilson said later. The zoning change would require council sign-off at both a first and second reading. The first reading is currently scheduled for Aug. 7 and the second reading and adoption vote would take place Sept. 4. If approved according to that time line, the potential zoning change for the Portland Road property would take effect Oct. 4. As of the Lakes Region Weekly’s print deadline, Tee Em Up was scheduled to appear before the Gray Planning Board Thursday, July 12, for a public hearing on the project. Tee Em Up Inc. hopes to convert the former driving range on Portland Road in Gray to a 10-unit commercial sub-development, but needs the two council to rezone a portion of the property to move forward with two of the units.